HONOLULU (16 Feb. 2017) The National Marine Fisheries Service (NMFS) announced on Monday its intent to prepare a Programmatic Environmental Impact Statement (PEIS) to analyze the environmental impacts of U.S. Pacific Island deep-set tuna longline fisheries managed under the Fishery Ecosystem Plan for Pelagic Fisheries of the Western Pacific (Pelagic FEP) and other applicable laws. The PEIS will be developed in coordination with the Western Pacific Fishery Management Council (Council), which develops, monitors, and amends the Pelagic FEP. U.S. longline vessels at Pier 38 in Honolulu to land their tuna catches at the Honolulu fish auction. Public scoping meetings on the PEIS will be held from 6 to 9 p.m. on Feb. 21 in Hilo and Feb. 23 in Honolulu, Hawaii; Feb. 28 in Utulei, March 1 in Tafuna and March 2 in Pago Pago, American Samoa; March 7 in Susupe, Commonwealth of the Northern Mariana Islands (CNMI); and March 9 in Mangilao, Guam. The public is invited to comment on issues that NMFS should address in the draft PEIS related to management of the deep-set tuna longline fisheries. This will assist NMFS and the Council in determining the scope of the environmental issues and in developing a reasonable range of fishery management alternatives to analyze in the draft PEIS. Deep-set tuna longline fisheries authorized under the Pelagic FEP are based in Hawaii, the West Coast, American Samoa, Guam and the CNMI and target tunas deeper than 100 meters. The primary fleets are in Hawaii and American Samoa. Access to the Hawaii longline fisheries is limited to 164 vessels, of which about 140 are typically active. Most vessels with Hawaii longline permits are based in Hawaii, and about 10 operate from West Coast ports. 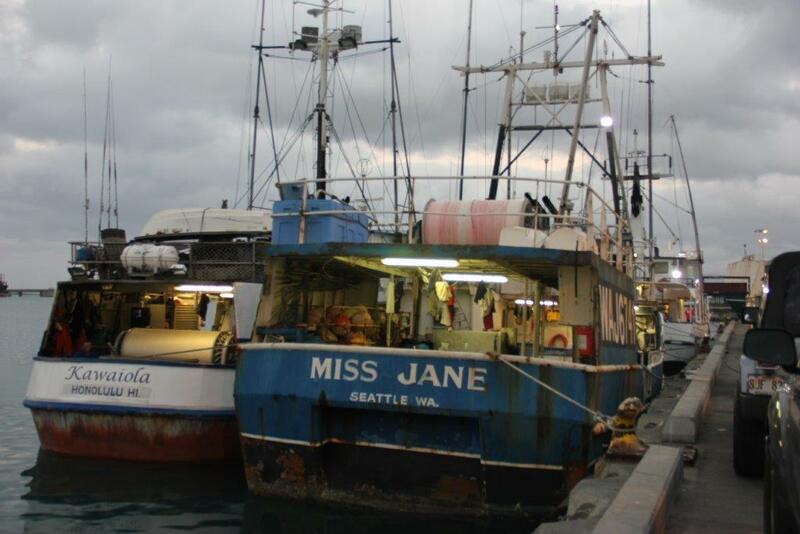 Access to the American Samoa deep-set tuna fishery is limited to 60 permits. Historically, a few deep-set tuna longline vessels operated out of Guam and the CNMI, but these fisheries have been inactive since 2011. The Notice of Intent can be accessed and downloaded from the Federal Register website at https://www.federalregister.gov/documents/2017/02/13/2017-02820/pacific-island-pelagic-fisheries-deep-set-tuna-longline-fisheries. 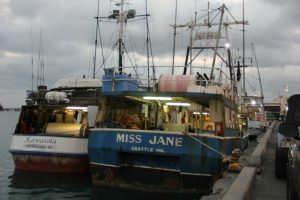 Additional information about deep-set tuna longline fisheries managed under the FEP and the progress of the PEIS can be found a http://www.fpir.noaa.gov/SFD/pelagic_deepset_tuna_longline_fisheries_pacific_islands_peis.html. Under the authority of the Magnuson-Stevens Fishery Conservation and Management Act of 1976, the Council manages fisheries seaward of the state and territorial waters around American Samoa, the CNMI, Guam, Hawai’i and the U.S. possessions in the Western Pacific Region (Johnston Atoll, Kingman Reef, Palmyra, Jarvis, Howland, Baker, Midway and Wake Islands). Western Pacific Regional Fishery Management Council: Secretary of Commerce appointees from nominees selected by American Samoa, CNMI, Guam and Hawai`i governors: Edwin Ebisui Jr. (Hawaii) (chair); Michael Duenas, Guam Fishermen’s Cooperative Association (Guam) (vice chair); John Gourley, Micronesian Environmental Services (CNMI) (vice chair); Christinna Lutu-Sanchez, commercial fisherman (American Samoa) (vice chair); McGrew Rice, commercial and charter fisherman (Hawaii) (vice chair); Michael Goto, United Fishing Agency (Hawaii); Dean Sensui, film producer (Hawaii); Archie Soliai, StarKist (American Samoa). Designated state officials: Suzanne Case, Hawai`i Department of Land and Natural Resources; Richard Seman, CNMI Department of Lands and Natural Resources; Matt Sablan, Guam Department of Agriculture. Designated federal officials: Matthew Brown, USFWS; Michael Brakke, US Department of State; RAdm Vincent B. Atkins, USCG 14th District; and Michael Tosatto, NMFS Pacific Islands Regional Office.